Teething is a brutal business, for both the babies and their parents. Our wee babies have formed their teeth buds in utero, which makes for a jaw full of teeth that are constantly moving and growing from the moment they are born. Identifying signs of teething can be really confusing and traumatic. Some babies are blessed and breeze through their teeth growing business without much fuss, whilst others will experience months of pain and discomfort. Your child won’t necessarily experience all (or if your lucky, even any) of these signs. But you will generally notice a couple of them each time your babe is cutting a tooth. Once those toothy pegs start shifting and breaking through the skin, the first sign you’ll usually notice is the extra saliva spilling from their mouths. Be prepared to carry extra bibs or muslin wraps with you to follow your babe around wiping their face with. Normally a response to all that extra drool on their face. You’ll often find babe’s cheeks and/or chin will appear red and rashy. Don’t see these as a sign of aggression. Rather, this tends to be your babe looking for something to chew on that will alleviate the pain in their gums. 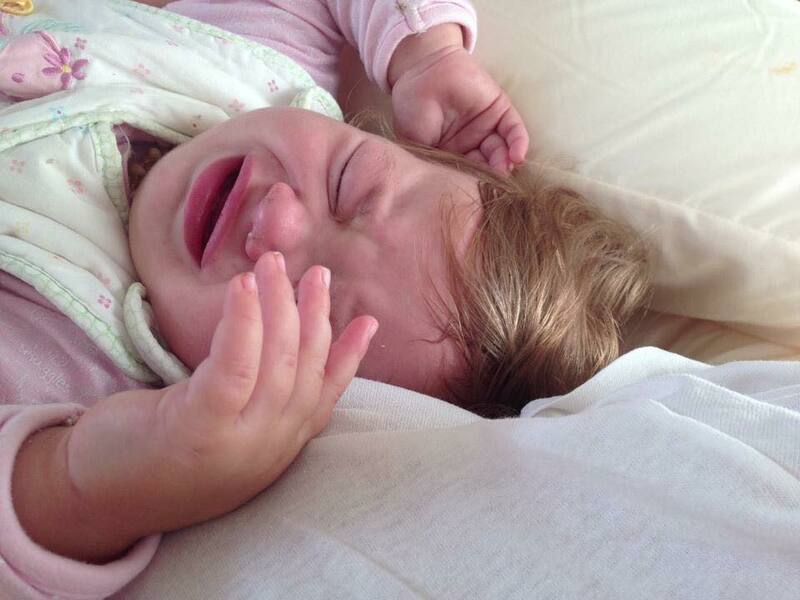 Irritability is reported to be the most common sign of teething. With those little teething putting pressure on their gums you will notice that your babe is a touch out of sorts. This can last just hours, or some babies will be cranky for a few days, even weeks. With babe feeling irritable and in pain this often results in difficulty settling, shorter naps, arousals over night and early waking in the mornings. A fun time for all! Try wrapping your baby to sleep if you are both having some trouble settling for the night. Don’t be surprised if you find your babe refusing to feed or less interested in their solids. The suction of nursing may cause discomfort to your child’s already sore gums. Our gums and ears share the same nerve pathways. So a pain or pressure in the gums can travel to the ears causing an ear ache, or heat in the ears. Babies react to this feeling by pulling and tugging on their ears. It has been found that teething can cause a very small rise in temperature. However, keep in mind that teething should not cause a major fever. So if you find your babe with a high temperature please seek advice from your doctor. My children always reacted to teething with diarrhoea for a day of two whilst feeding. Whilst this is not proven, I found through conversations with other mothers, it is a common reaction. Don’t be alarmed if all of the above causes you to lose your patience, tolerance or sanity. It’s only to be expected when your babe is crying, waking up, not sleeping and generally feeling blue! Take the days slowly and try and take some time out for yourself. 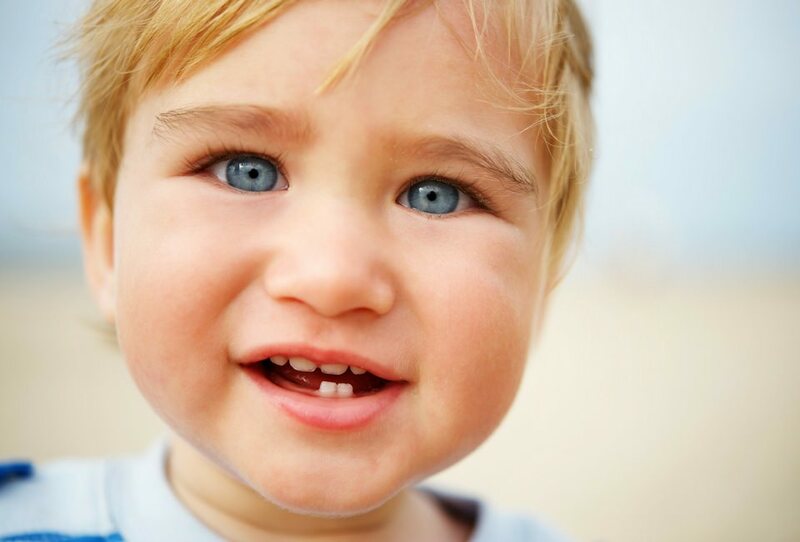 Remember that our babes will have all of their primary teeth by age 3. Not long to go! Jess is a fiercely passionate storyteller who is mad about fitness and wine drinking, usually not at the same time. 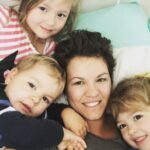 She’s a freelance writer who juggles being a mummy to three and hospitality work. When she’s not busy tapping away on her keyboard with a smile on her face she’s chasing the kids or jogging on the beach.